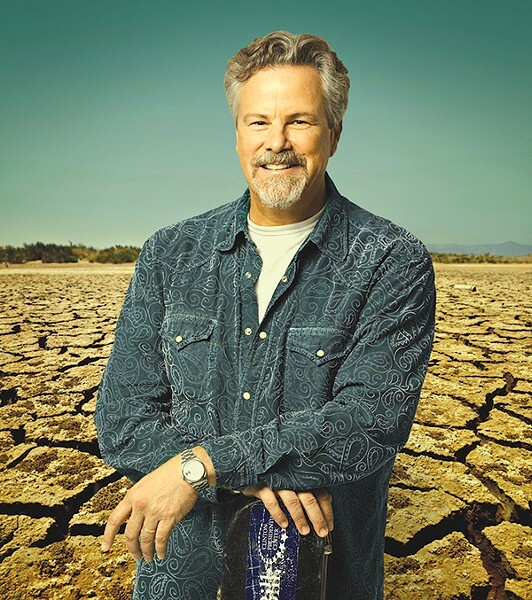 Robert Earl Keen performs on Wednesday, June 24, at Sweetwater Music Hall, 19 Corte Madera Ave., Mill Valley. 8pm. $55–$60. 415.388.1100. TEXAS TROUBADOUR Robert Earl Keen's new album draws on an early inspiration. Acclaimed songwriter and country star Robert Earl Keen is best known for hits like his beloved anthem "The Road Goes On Forever," yet the sixth-generation Texan has always had a soft spot for bluegrass, the music of his youth. Keen shares this lifelong passion on a new album, Happy Prisoner: The Bluegrass Sessions, and a summer tour making its way to Mill Valley on June 24. "The first date I ever had, I took a girl to a bluegrass festival," says Keen, speaking by phone from the hill country of Kerrville, Texas. "I don't recommend it. It did solidify the fact that, number one, I really did love bluegrass, and number two, that really shouldn't be your first date with a girl you want to keep going out with," he laughs. Keen grew up on a steady diet of records by the likes of Bill Monroe and the Stanley Brothers, and learned to play guitar alongside their albums, and with bluegrass fiddle players in Houston, where he was raised. "It has really affected the whole way I write and sing," he says. Still, in a career that spans more than three decades, Keen never produced a strictly bluegrass album until this past February, when Happy Prisoner was released to universal praise and a top spot on the U.S. bluegrass charts. "I got to a point in my life where I thought, you know, if I don't do this now, I might never do it," says Keen about the new album. Collected from a list of a hundred of his favorite songs, Happy Prisoner features 15 classic bluegrass tunes played with Keen's signature grit. Guest appearances by friends like Lyle Lovett and Sara Watkins (Nickel Creek) bolster Keen and his band's playing, and the record encompasses an eclectic array of what bluegrass means to him. "A lot of people have a real myopic view of bluegrass, but I think of it in terms of a broad spectrum with real nuances," says Keen. "I wanted to pick songs that represented the entire bluegrass landscape." Bringing that landscape to the North Bay, Keen returns to Sweetwater, where he has appeared numerous times since sending the venue a handmade press kit back in his earliest days of playing. This time around, Keen and his core band of 20 years will be working the stage with a blend of material off the new record as well as a crop of his biggest hits, like "Shades of Gray" and "Feelin' Good Again," done up in a bluegrass style.